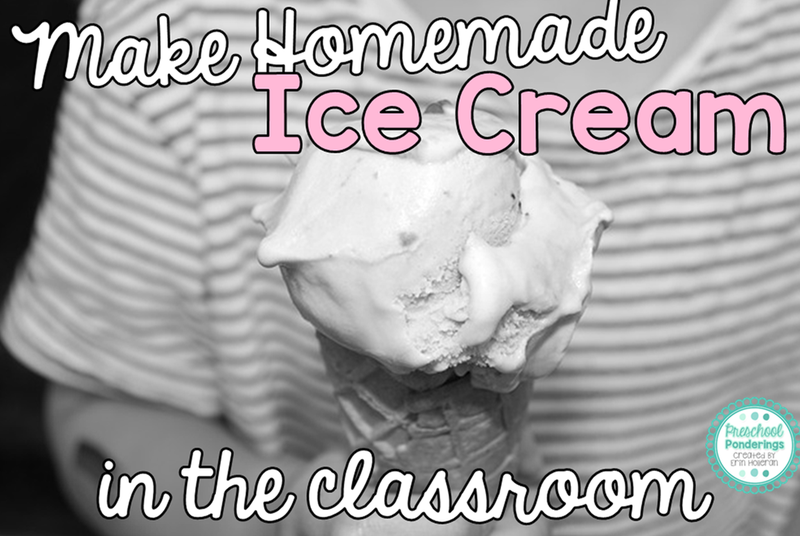 I've always been a fan of homemade ice cream, and last summer I shared my favorite recipe - coffee can ice cream, which I love to make with my students because they get to be a huge part of the process, and because it doesn't require access to a freezer. I've been experimenting with a new ice cream recipe that would be perfect for the classroom and I wanted to share it with you! This recipe only requires two ingredients (yay!) but you can add your favorite flavorings and toppings for something a little special. It also needs time to set up in the freezer, so this is the perfect treat to make in the morning and enjoy in the afternoon (or the next day). You'll need 2 cups of heavy cream and a 14 ounce can of sweetened condensed milk. Use a stand mixer to whip the heavy cream, you want it to be light and fluffy just like whipped cream. Set the whipped cream aside and open your can of sweetened condensed milk. Pour it into a large bowl and add any fun candy or fruit pieces (mini chocolate chips, sprinkles, strawberries, be creative). Now fold in the whipped cream so that it is mixed well, but still fluffy. 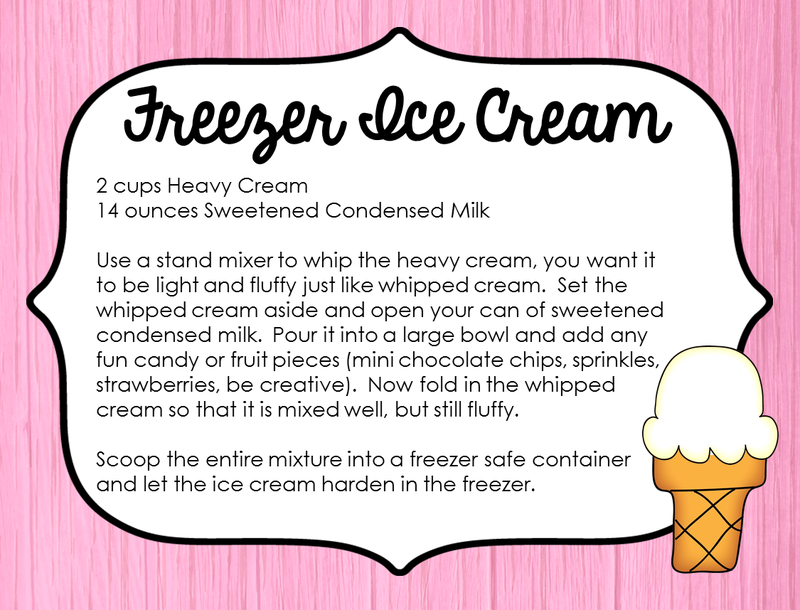 Scoop the entire mixture into a freezer safe container and let the ice cream harden in the freezer. It doesn't make an extremely large amount, so you may want to double the recipe depending on the size of your class. This is going to be my go-to recipe for home too, you can't go wrong with two ingredients! Thanks for stopping by Diane, I'd love to know how it works for you! I tried the recipe for a fun Father's Day dessert and it turned out great! It was sweet so next time I think I will add some cocoa powder to the condensed milk and see how that works. That's great Diane, what a fun idea for a celebration! Thanks for sharing!